Definition at line 64 of file sha.h. Definition at line 423 of file sha.cpp. Definition at line 770 of file sha.cpp. Definition at line 90 of file sha.h. Reimplemented from IteratedHashBase< word32, HashTransformation >. 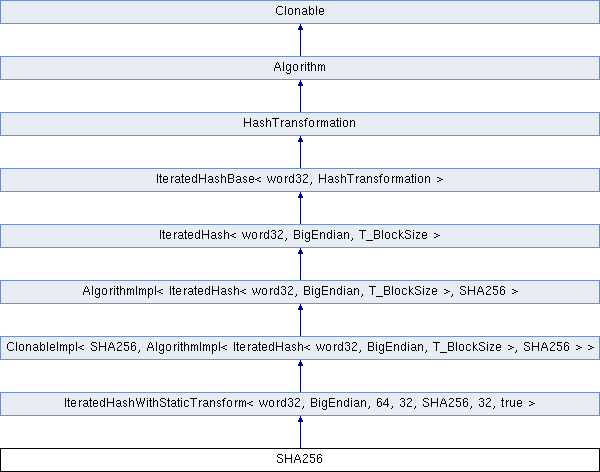 Definition at line 765 of file sha.cpp.